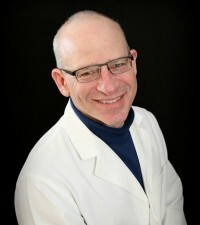 With almost 30 years experience, Dr. Resnick has become an expert at dentistry. He is especially proud of the cosmetic and orthodontic work he has done. After growing up in Oak Park and West Bloomfield, near Detroit, he attended the University of Michigan, first as an undergraduate, and then at the School of Dentistry. He earned the title Doctor of Dental Surgery in 1984. He went on to practice in Pinconning, then Ann Arbor, with a volunteer experience in Israel in between. He has been practicing in Alpena since 1988. He has been a continuous student, studying at the prestigious Pankey Institute for Advanced Dental Education and taking many courses every year. In his free time Dr. Resnick likes reading, hunting, travel, and staying fit. He is an avid cyclist, runner, and skier. He has completed 2 half marathons, and 4 DALMAC bike rides from Lansing to Mackinaw City. He has two children: Jessica, who is in college, and David, who is at Alpena High School. They enjoy weekly sailboat races together on Thunder Bay every summer. 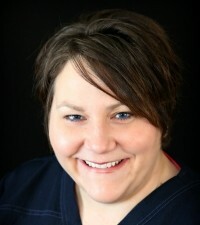 I began my dental hygiene career at Dr. Resnick’s office in 1999 after graduating from Ferris State University. In 2005, I left his practice and moved to Anchorage, Alaska with my husband while he pursued an education in the culinary arts. While in Anchorage I continued practicing hygiene for two years until moving back home to beautiful northern Michigan. Fortunately, Dr. Resnick was gracious enough to hire me back part-time. Working for Dr. Resnick over the years has been a blessing. The amazing staff and wonderful patients make every day a joy to come to work. My husband and I have two children, Charlie and Lyla. In our free time we enjoy cooking, reading, swimming, fishing, camping, traveling, sports, and the great outdoors any way we can. My husband and I also own the Wagon Wheel Restaurant in Ossineke. I have worked in the dental field for most of the past 40 years. The last 25 years I have worked chairside with Dr. Resnick. 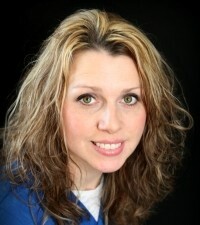 I am a member of the Dental Assisting National Board and hold a Certified Dental Assistant standing, along with a Registered Dental Assistant license. I received my formal dental education at Washtenaw Community College. I am a dental hygienist at Dr. Resnick’s office. I have been fortunate enough to be part of this great practice since spring of 2005. Time flies when you’re having fun! I am also a mom and a wife! I have three great guys in my life; two sons, Ashton and Ty, and a fantastic husband named Delos. We enjoy Alpena’s great northern beauty and all it’s super seasons. Fishing, biking and camping are just a few of the many fun things I enjoy with my family. At the office I am always pleased to be able to share my dental knowledge to care for patients, and help them achieve optimal oral health. I hope some day to be a part of your dental routine! 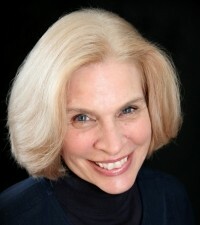 My name is Sally, and I have been with Dr. Resnick’s office for almost 20 years. I am the dental insurance biller, responsible for collecting all the information necessary to prepare insurance claims, and post the insurance payments. The practice has wonderful patients, I have awesome co-workers (and boss), and I enjoy coming to work every day. I am a wife, mother, and grandmother. I enjoy spending time with my family, walks with my husband and dog, warm weather destination vacations, boating, fishing, NASCAR, and football. I especially like shopping with my daughter and granddaughter. I have been with Dr. Resnick's team for almost 2 years now! I am a receptionist and I answer phones, help patients schedule appointments, and collect payments. I truly enjoy helping people and look forward to coming to work every single day because we have such wonderful patients in our practice. When I'm not working, I enjoy spending quality time with my wonderful boyfriend Josh, my dog Snickers, my cat Maya, and my awesome parents, siblings, nieces, and nephews! I also enjoy shopping and watching movies. My favorite holiday is Christmas!! In the summer, I play softball on a team and like soaking up the sun. I don't like winter at all, so I mostly stay cuddled in a blanket watching movies.